The Walk: The walk I have designed to accomplish the county top of Merionethshire is what I regard as a classic uplands circular. From the start follow the road north-west to where two valleys meet near Bryn Hafod. Take the valley to the left thus leaving the road behind. 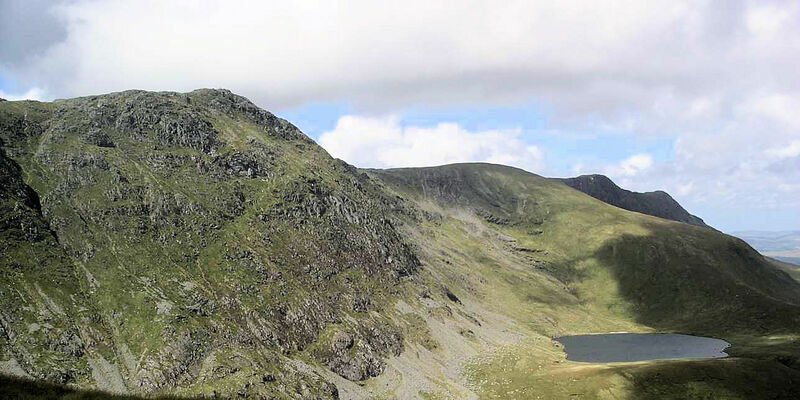 Climb through the valley in a north-west direction to its head around grid reference SH840200 and turn right to follow a trail leading north-east directly to the summit of Waun Camddwr and then without deviation to the summit of Aran Fawddwy. Once the summit of Merionethshire's county top is attained then track back 450 metres to grid reference SH859220 and follow a track south-east to a cairn which heralds the beginning of a great ridge walk to Drysgol and then to Waun Goch. A good path south-west then leads home. The Walk I Would Do: I would do this walk. It looks perfect on paper.